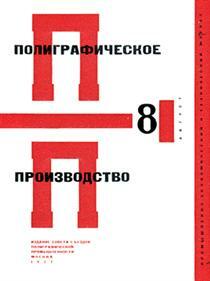 Lazar Markovich Lissitzky (Russian: Ла́зарь Ма́ркович Лиси́цкий, listen (help·info); November 23 [O.S. 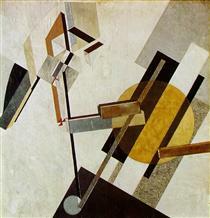 November 11] 1890 – December 30, 1941), known as El Lissitzky (Russian: Эль Лиси́цкий, Yiddish: על ליסיצקי‎), was a Russian artist, designer, photographer, typographer, polemicist and architect. 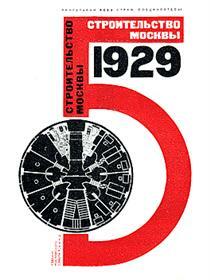 He was an important figure of the Russian avant-garde, helping develop suprematism with his mentor, Kazimir Malevich, and designing numerous exhibition displays and propaganda works for the Soviet Union. 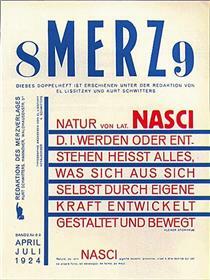 His work greatly influenced the Bauhaus and constructivist movements, and he experimented with production techniques and stylistic devices that would go on to dominate 20th-century graphic design. 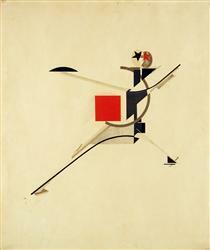 Lissitzky's entire career was laced with the belief that the artist could be an agent for change, later summarized with his edict, "das zielbewußte Schaffen" (goal-oriented creation). 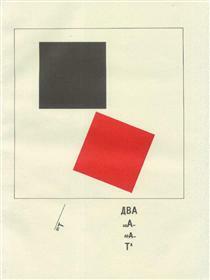 Lissitzky, of Lithuanian Jewish оrigin, began his career illustrating Yiddish children's books in an effort to promote Jewish culture in Russia. When only 15 he started teaching, a duty he would maintain for most of his life. Over the years, he taught in a variety of positions, schools, and artistic media, spreading and exchanging ideas. 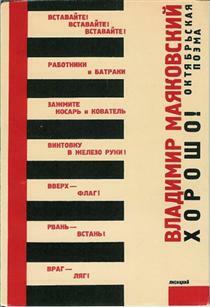 He took this ethic with him when he worked with Malevich in heading the suprematist art group UNOVIS, when he developed a variant suprematist series of his own, Proun, and further still in 1921, when he took up a job as the Russian cultural ambassador to Weimar Germany, working with and influencing important figures of the Bauhaus and De Stijl movements during his stay. 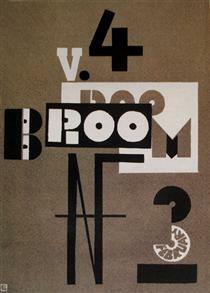 In his remaining years he brought significant innovation and change to typography, exhibition design, photomontage, and book design, producing critically respected works and winning international acclaim for his exhibition design. 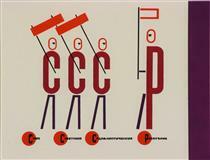 This continued until his deathbed, where in 1941 he produced one of his last works – a Soviet propaganda poster rallying the people to construct more tanks for the fight against Nazi Germany. 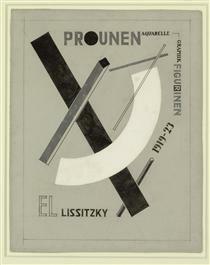 In 2014, the heirs of the artist, in collaboration with Van Abbemuseum and leading worldwide scholars on the subject, the Lissitzky Foundation was established in order to preserve the artist's legacy and to prepare a catalogue raisonné of the artist oeuvre. 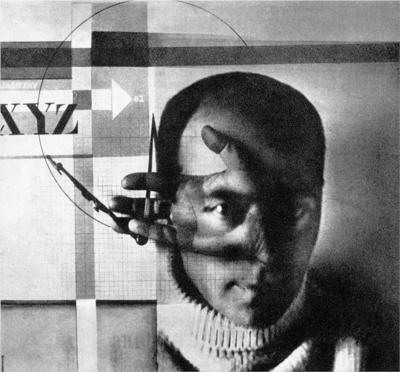 Lissitzky was born on November 23, 1890 in Pochinok, a small Jewish community 50 kilometres (31 mi) southeast of Smolensk, former Russian Empire. During his childhood, he lived and studied in the city of Vitebsk, now part of Belarus, and later spent 10 years in Smolensk living with his grandparents and attending the Smolensk Grammar School, spending summer vacations in Vitebsk. 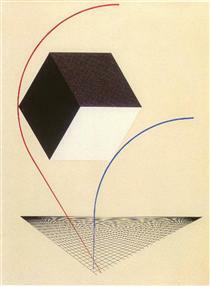 Always expressing an interest and talent in drawing, he started to receive instruction at 13 from Yehuda Pen, a local Jewish artist, and by the time he was 15 was teaching students himself. 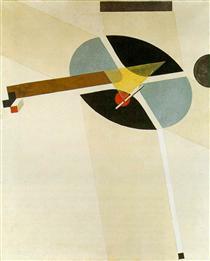 In 1909, he applied to an art academy in Saint Petersburg, but was rejected. 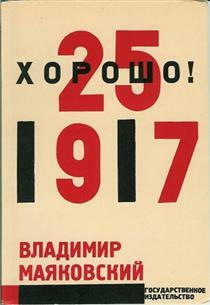 While he passed the entrance exam and was qualified, the law under the Tsarist regime only allowed a limited number of Jewish students to attend Russian schools and universities. 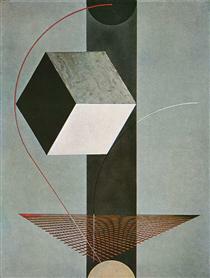 Like many other Jews then living in the Russian Empire, Lissitzky went to study in Germany. 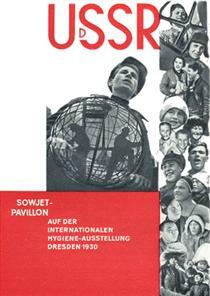 He left in 1909 to study architectural engineering at a Technische Hochschule in Darmstadt, Germany. 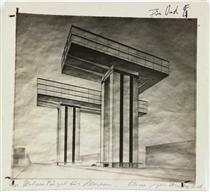 During the summer of 1912, Lissitzky, in his own words, "wandered through Europe", spending time in Paris and covering 1,200 kilometres (750 mi) on foot in Italy, teaching himself about fine art and sketching architecture and landscapes that interested him. 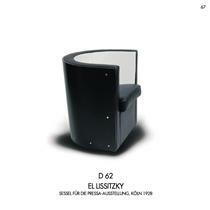 His interest in ancient Jewish culture had originated during the contacts with a Paris-based group of Russian Jews led by sculptor Ossip Zadkine, a lifetime friend of Lissitzky since early childhood, who exposed Lissitzky to conflicts between different groups within the diaspora. 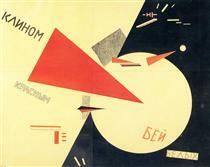 Also in 1912 some of his pieces were included for the first time in an exhibit by the St. Petersburg Artists Union; a notable first step. 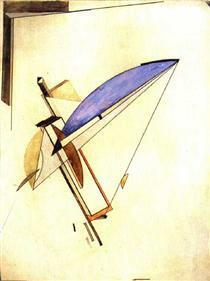 He remained in Germany until the outbreak of World War I, when he was forced to return home through Switzerland and the Balkans, along with many of his countrymen, including other expatriate artists born in the former Russian Empire, such as Wassily Kandinsky and Marc Chagall.